6 part radio series with original music production by Jeff Mills. On Tuesday 29th January, Jeff Mills will be releasing the final radio show in his ongoing The Outer Limits series on NTS Radio. The final episode is titled ‘Time Travel’, and will be broadcast from 3-4pm GMT, exactly one year after airing the first episode of The Outer Limits. Over the past twelve months, Jeff’s free-form radio programme has traversed topics as diverse as surrealist art, black holes, speculative future manned missions to the moon and the anthropological significance of the sun. Travel from the inception of the universe with the Big Bang 13.8 billion years ago, to the formation of our own solar system and the infancy of Earth, all the way through to the end of time itself. As The Outer Limits continues into its fifth edition, Jeff Mills looks to the visionary work of Renaissance polymath Leonardo Da Vinci for inspiration. Tune in for an hour of new and original music composed by Jeff himself, featuring a performance from guest artist Carolina Eyck and excerpts of an interview with Irina Metzl from the Château du Clos Lucé, the last residence of Da Vinci where he passed away in 1519. Eyck is one of the world’s leading theremin virtuosos and has helped to promote the instrument internationally through the publication of her method book, ‘The Art of Playing The Theremin’. Leonardo da Vinci was born in the small city of Vinci in Italy on 15th April 1452, where he spent his childhood before moving to Firenze to study with Andrea del Verrocchio, an important figure for his early life. Leonardo didn’t receive a classical education, although his grandfather was very close as a child and took him on walks around the countryside of Vinci. He was always saying to him in Italian “po l’occhio”, which means “open your eyes”. That guided him throughout his life: to be curious and to observe… After his childhood in Vinci, Leonardo left to study in Verrocchio’s workshop – a sculptor and a painter – as he had also shown promising talent in his first drawings. Leonardo wrote in one of his notebooks that his first memory was not a family or a friend but of a bird. He writes: “the kite seems to be my destiny, because among the first recollections of my infancy, it seems to me that, as I was in my cradle, a kite came to me and opened my mouth with its tail and struck me several times with its tail inside my lips”. We know the great dream he had was to fly and so this is something that guided him all his life from his childhood. Leonardo moved from Italy to France with all notebooks, leaving them in his will to his favourite pupil, Melzi. This is the person he had the most trust in, and was certain that the notebooks would be well kept after his death. Leonardo didn’t leave anything personal but these 8000 pages of notebooks that we know today was something very intimate for him. It’s the only record of all his knowledge, because at the time his inventions were not realized, or were destroyed, or were for temporary objects that could only last a few days so we don’t have any traces of them today. Leonardo explains in several of his notebooks that his inventions were not possible for his own time, because the Renaissance didn’t have the materials or knowledge to realise them. With Leonardo’s ‘Dream of Flight’, he said that man wouldn’t have the sufficient knowledge to build a flying machine for many more years, so he projected himself and his inventions hundreds of years in the future. Despite this, Leonardo Da Vinci was living in the Renaissance, the first great age of engineering. He used the techniques of engineering in many applications: for civil use, for war, for the King, or for the Duke… but he also applied engineering to his personal inventions and dreams. He was the only person at the time to think about flight and transportation because for him, the Dream of Flight is not something to get from a point to another but for imitating birds, and that which is found in nature. In comparison with the other engineers of his time, Leonardo was the only one to be an engineer, a scientist and also an artist. When Leonardo left Italy, he was 64 years old, very old for the time, and his main competitors were two other artists aged just 20: Michaelangelo and Raphael. So he had huge competition from the next generation… He was not respectful with his commissions for deadlines and would often work with severe delays. Patrons often commissioned a painting but Leonardo wouldn’t finish it, or he would keep it for himself which led to a poor reputation. Leonardo came to France on invitation from the King, and we aren’t sure if he was working for anybody at the time in Italy. So he didn’t really have much choice: if we wanted to live in a great house with a great King – we should mention that Francis I had just won the Battle of Marignano – he had to move to France. Francis I was a very young King who loved the arts and science, and Leonardo knew that if he was working with Francis then he could work freely on his projects… Upon his arrival, Francis is said to have claimed: “here, Leonardo, you can be free to think, work and dream”. In the fourth edition of The Outer Limits, Jeff Mills explores abstract thought via the chemistry of music and poetry, with an hour long mix of original music featuring renowned American poet, Jessica Care Moore. Titled ‘The Exquisite Corpse’, this episode refers to an old parlour game, popularised by André Breton during the Surrealist art movement in the mid twenties, although Pierre Reverdy claimed this began as early as 1918 – which would mark this year as its 100th centenary. In the parlour game participants contribute to a collaborative image or text, each contributing their own creativity whilst only viewing the last words or lines by the previous artist. The resulting artwork is thus a composite image, joining together disparate ideas into a disquietingly cohesive whole. The atmospheric soundscapes are interspersed with intimate spoken passages from a conversation between Jeff Mills and Danish sculptor and installation artist Olafur Eliasson. The two artists discuss the sculptural and architectural consequences of a world with two suns, and the emotional and physical energy of the sun’s rays. Interview passages taken from a conversation between Jeff Mills and Olafur Eliasson moderated by Sven von Thülen for Telekom Electronic Beats. Courtesy of Studio Olafur Eliasson, Berlin. Special thanks to Olafur Eliasson and Carola Stoiber. Chapter 2 of The Outer Limits explores the fictional story of NASA’s ‘Apollo 18’. A mission that was officially cancelled by the US government due to budgetary constraints which also lead to the end of NASA’s Apollo missions. Mills’ 60 minute musical odyssey resumes the program with an abstract and musically interwoven episode of all original compositions that features Parisian cellist, Éric-Maria Couturier. This episode takes listeners on a journey into lunar space, landing in the Aitken basin on the far side of the moon, and the possibilities of future human habitation on the moon’s surface. The first chapter of The Outer Limits explores the different theories behind the strangest celestial object in the universe: the black hole. Inside the black hole is a point in space of infinite density and infinite gravity, from which nothing, not even light, can escape. This is known as ‘the singularity’. This episode is split into four different segments, titled ‘Parallel Reality’, ‘Worm Holes’, ‘Time In Reverse’ and ‘The Stand Still Of Time’, all soundtracked with original music composed by Jeff Mills and featuring performances by American pianist Kathleen Supové and British violinist Thomas Gould. The guest commentator for this episode is Dr. Jameson Graef Rollins of Caltech’s Laser Interferometer Gravitational-Wave Observatory. Originally aired by BBC1 at B Traits on June 2, 2017. The Martian Experience is a science fiction story about traveling from Earth to the Planet of Mars, told through soundtrack and experimental instrumental electronic music. Hello I’m your host Moxie & welcome along to “The Outer Limits”, the first in a four part series where we’ll be exploring the back catalogue of Axis. Now in it’s 25th year, the label has proved itself as one of the most forward thinking Techno imprints, releasing music from artists such as Robert Hood, Hieroglyphic Being, Sub Space & more. But for this episode we’re going to be focusing on tracks from the label’s founder Jeff Mills. Delving into releases on Axis as well as sub-label Purpose Maker. Plus un-released and rarely heard music from the archives. Techno is still largely heard by the public in edited form, mixed from one track into other and beat matched. But in this show we’ll be exploring all the tracks in their entirety start to finish. Born in Detroit in 1963, Jeff first made his name as a radio DJ on the station WDRQ. 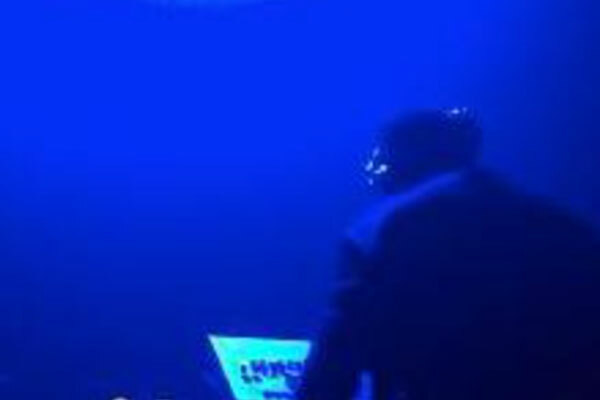 Initially influenced by hip-hop as well as the futuristic synth stylings of Kraftwerk , Gary Numan and Visage he later went on to become one of the founding members of the Detroit Techno collective Underground Resistance. But his artistic epiphany occurred years before at the famous Expo 67 festival in neighbouring Montreal. The architecture and installations he saw there kick started a life-time obsession with the themes of space and futurism which inform so much of his work. Considered one of the most influential figures in electronic music, Jeff has released over 40 albums and thousands of hours of music. He’s also widely recognized for his contribution to film and performance dance. Which leads us onto the first track of the show. Taken from the ‘Chronicles Of possible Worlds’ album and simply titled track 4. The song was made to integrate with a group of dancers wearing wireless speakers within their costumes. The dance took place in the Southern French region of Aix-en-Provence at the Foundation Vasarely, a space dedicated to one of the creators of optical art, Victor Vasarely. When listening to the tracks you could indeed tie the two artists together – layers of hypnotic sound structures referencing the evocative illusions of Vaserley’s work. If you’ve just joined us, hello and welcome along to the ‘Outer Limits’ show, where we’re going back through the archives of Jeff Mills on Axis. We’ve just shared with you two tracks from the producer, track 4 from the Chronicles Of possible worlds project and Flying Machines. Both tilted on the more conceptual side of his back catalogue. Flying Machines was produced with the intention of evoking the thrill of flying. The human fascination with flight is timeless but it wasn’t until 1903 that the Wright Brothers achieved what is widely considered to be the first controlled air flight. Less than 60 years later Yuri Gagarin took to the skies even further by becoming the first man to travel into space. But this track had a much more unlikely subject, the humble pigeon. To most this bird is considered a pest but for Jeff it was a source of inspiration, mimicking its call in the track. The song was later classically arranged for the Lights From the outside world performance. Next up we have ‘Tales From The Parallel Universe’. Track 3: Tales From The Parallel Universe (track no.16) Soon to be released on Slam compilation. We just shared with you a trio of tracks – beginning with ‘Tales From The Parallel Universe’. An as of yet unreleased piece. The track explores the concept of a parallel universe to our own, in which time moves backwards. Some predict the two could eventually intersect creating a bridge between them. And after that we had ‘See The Light Track 003. Created as a spiritual enlightenment product, it comes from a set of three EPs based on the idea of enchantment. The third track in the sequence was ‘Oxide Gardens from the Sleeper Wakes’ album series. The track is what happens when science fiction directs the path of a Techno Musician! It’s about imagining a completely alien reality, seeking to make the unknown familiar. That last track we shared with you was ‘Venus’ – an unfinished version with a classical arrangement made for a philharmonic orchestra, Jeff sought to emphasize the strings of the piece. Reflecting on the unconditional connection between all sounds. Before that we had “The Art Of Barrier Breaking”, another track with eclectic influences, inspired by the work of Sergio Mendez and Miles Davis. At this point you might have noticed that Jeff’s tracks rarely exceed 5minutes. He believes that if a track takes longer than this time to explain itself it’s probably not being told in the best way. Hello & welcome to “The Outer Limits” – an audio journey exploring the work of Jeff Mills on Axis. Illustrate their own romantic view of the future. After that came “The Eternal Beauty Of Fire” a collaboration with the Uzbekistan born pianist Mikhail Rudy. And last in the sequence was “Mars”. 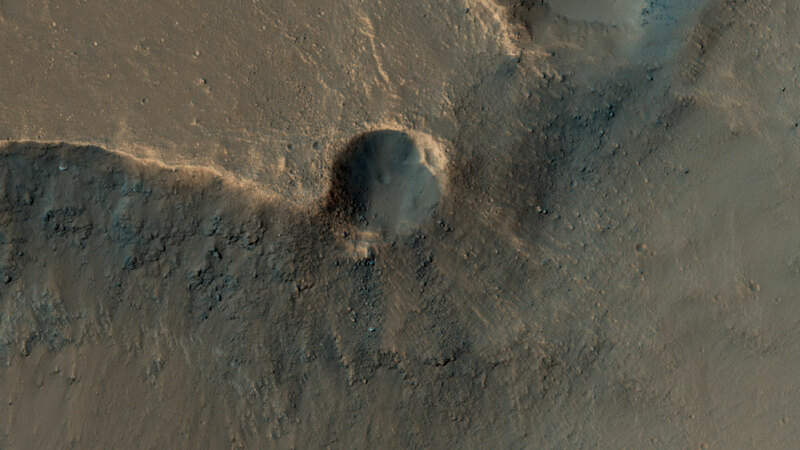 Scientists believe that Mars was once like Earth, with plenty of resources for survival. In this track Mills considers what may have happened in the interim. Going back to ‘The Hunter’ the sinister and foreboding track, which opened that last section, Jeff gets into the mind of a predator stalking its prey. Influenced by the war drum of the ancient Native Americans, you can get the sense of the hunter waiting for the right time to attack. After that we heard Utopia. Originally made for a TV car commercial. It was actually Jeff’s brother, an employee at an industrial film studio who brought the project to him. The cultural significance of the automobile runs deep in Detroit, once the center of car manufacturing in the world, employing over 90% of the cities population, the industry began to decline in the 1970s, affected by the gas crisis and foreign competition. This left many stranded and without jobs. But out of this dark period Techno was born. It has been said that the industrial assembly line inspired the repetitive and futurist sound of the music, while the vast abandoned factory warehouses, provided perfect venues for raves. Following on from that ‘Crash Landing With Tail’, taken from the soundtrack of Fritz Langs’ Woman In The Moon rescore project. Opening with a violent explosive sound, the track accompanies the scene when the character crash lands onto the moon’s lunar surface. And we finished with ‘A Certain Kind Of Human’ – an unreleased sketch which, Jeff refers to as a test-tube type of track, made with the intention of creating something that sounded human like. Jeff spends much of his time in the studio making these experiments, never intending to release them. If you’ve just joined us hello and welcome to the Outer Limits. We’re currently exploring the work of Jeff Mills in celebration of Axis turning 25 years. Over the course of this journey, we’ve shared with you the many different sides to Mill’s work on the label as well as unreleased cuts. Such as ‘Forever and a day’ which opened the last sequence of music. Made in the year 2000 for the Every Dog Has Its Day series. The track is intended for Volume 5 which has yet to be released and is the first time it’s been heard outside the studio. Since being made over 17 years ago Jeff tried to incorporate live musicians into the piece but has yet to find the right players, so what you just heard, was the music in its basic form. Following on from that we heard Apache Maneuvers influenced by the native American Apaches. The piece was made as a transitional tool for Jeff’s DJ sets rather than a stand-alone track. And finally The Believers, another piece of unreleased music taken from the forthcoming re-score for George Melies, 1902 film “Trip To The Moon”. The film is one of the earliest examples of science fiction cinema. The track itself considers a future in which it may be possible to live in a completely detached reality. The recent development and increased dominance of social media gives an insight into this lifestyle of the future. It’s one of the many tracks that Jeff has made with an audience from the future in mind rather than the 21st century listener. But now here’s one you might have heard before, The Bells. It’s fair to say these last two tracks we just shared with you are two of the most prominent records in the Axis catalogue. The Bells made back in 1995 has since sold more than half a million copies and continues to be one of the most recognizable records Jeff Mills has produced. But it started from more humble beginnings. Initially Jeff only transferred the track onto one 14” copper disc to play at parties. The material of the disc made it 3 times heavier than a traditional vinyl record giving it an incredibly vibrant and defined sound. This caught the attention of many DJs who heard it and an influx of requests for copies soon followed. This prompted Jeff to sign it to his newly formed sub label Purpose Maker and the rest is history! The second track, Spider Formation is the official theme tune of Axis. Made in New York in 1993, it was one of the first tracks Jeff made after leaving Underground Resistance, which he considers a liberation track. Around this time Jeff was spending a lot of time in Europe and came to realize just how universal the Detroit Techno sound was. The last one we shared with you ‘Miles Searching For Bird’ – the key is in the name. Made exclusively for the Berlin record store ‘Hard Wax’, you can hear the Jazz influence running throughout. Prior to that we had ‘Actual’, made as the soundtrack for a science fiction film that never was, rather than a dance floor techno track. Jeff wanted it to be a sound accessory, which DJs could layer over different tracks, like an audible necklace. The next piece of music you’re going to hear was similarly made with a visual aspect in mind. A collaboration with the video artist Jacques Perconte. You might notice that the longer the track progresses, the further the individual sounds become apart in sequence. Here we have it, Wild Extensions. So we just had a sequence there exploring more of Jeff’s experimental pieces including the second track Une Usine Au Nord meaning Factory in the North. Commissioned by the Paris Film Festival in 2012 as part of a soundtrack project for Andre’ Sauvage’s Etudes Sur Paris. After that was another film piece ‘Search For Sigmund Marx’ from the album 2087 inspired by the Science Fiction film Cyborg: 2087. Following on from that was ‘The Occurrence’, made to evoke a threatening experience, the track marks the listener with extreme frequencies and sounds. And finally came ‘The Talented Man’ yet another piece from Jeff’s extensive soundtrack back catalogue. This one was made for the cine-mix of Walter Ruttmann’s ‘Berlin: Symphone Of A Great City”. It reflects on the many sacrifices that humans have made over the course of history, and is a reminder to always remain hopeful for the future. Thank you for joining us in our journey to the Outer Limits, we’re almost at the end, but there are still a few more tracks we’d like to share with you. Like this one, Alpha Centuari. The track you just heard was ‘The Architect’, a collaboration with the French composer Jean-Michel Jarre. The original idea was to create a piece about the journey of a train running along the bank of a river. 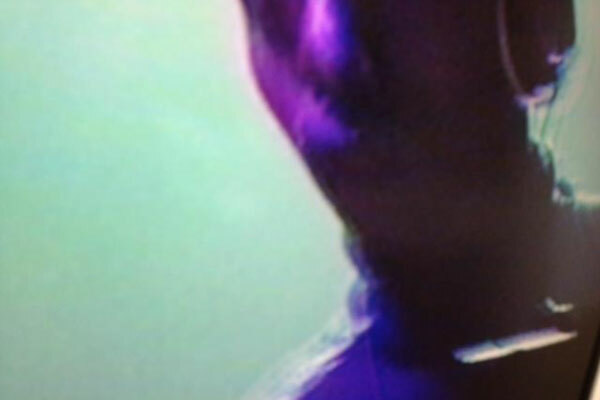 Jeff released his “Exhibitionist 2 DVD around the same time and Jean-Michel was struck by a solo he performed on the 909 and asked him to recreate it. 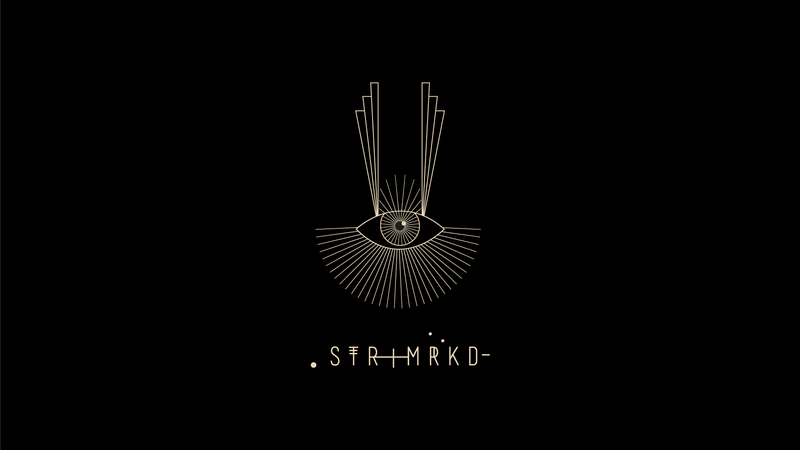 The track took on an entirely new identity as a result and the pair decided to call it “The Architect” referencing the composition process and art of design. Prior to that we played Alpha Centauri, inspired by the 1960’s tv series Lost In Space. The show tells the story of the family of Astronaut Dr. John Robinson. Set in the year 1997 the family flee an overpopulated earth with the hopes of colonizing a planet in the Alpha Centauri star system, but get lost on their way. Alpha Centauri is the closest star system to our Sun at 4.3 light-years away. That’s about 25 trillion miles from Earth and would take 295,000 years to reach in a conventional space shuttle. Next up, we’re going to share two pieces of music from the soundtrack to Jacqueline Caux’s “Man From Tomorrow”. First up, ‘The Event Horizon’. We just heard two songs from the “Man From Tomorrow” soundtrack. First up was “The Event Horizon” and after that we had The Warning. A cautionary piece to take care of the things we love or risk losing them. The film features Jeff as the central character. The first half with no dialogue, instead relying solely on Jeff’s score, which was written exclusively for the film. From his 2017 Artist residency at the Barbican Center in London, Jeff Mills creates a special mix of eclectic music to emphasize the nature of his concept and theme “From Here To There”. Four consecutive nights of classical performances, dance, cinema and cine-mixes. Deeply inhabited by science-fiction, DJ, producer and artist Jeff Mills adopts its ideas, concepts, stories and esthetics from the outset. For him, Space is an obsession and his music almost becomes a musical science-fiction. Conquering space, his music embodies the future while both respecting the past and remaining well into the present. 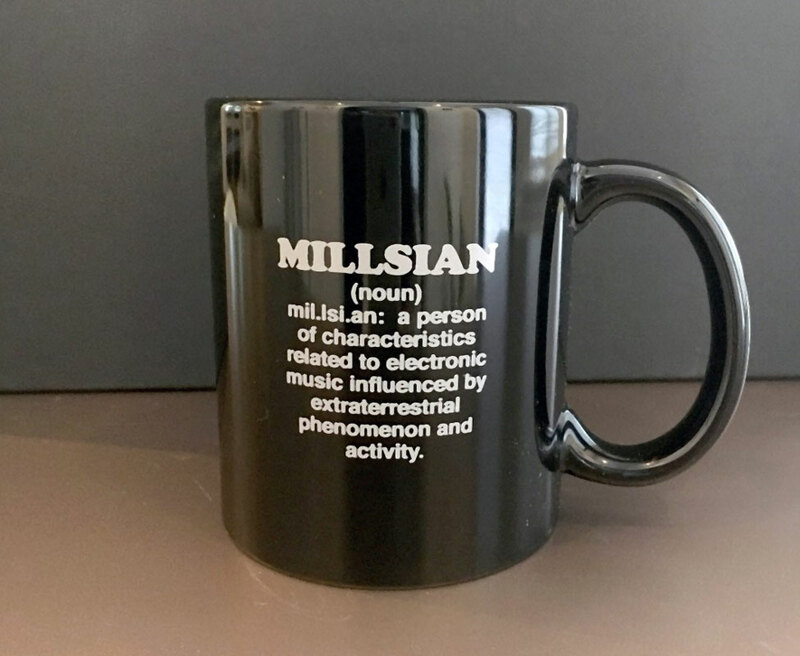 When he founded his own record label Axis in 1992 -a logo consisting of four triangles pointing to an invisible center-, Mills takes the rotating principle of the solar system as aesthetics, concept and model for creativity. From the beginning, his first releases explore futuristic and science fiction topics such as “Mutant theory,” “Tomorrow,” “Art / UFO”, “Time Machine” and “Alpha Centauri”. For Jeff Mills, the future is a powerful creative drive which explains the artist’s ceaseless activity. The 2000s, a turning point in Mills’s artistic career. 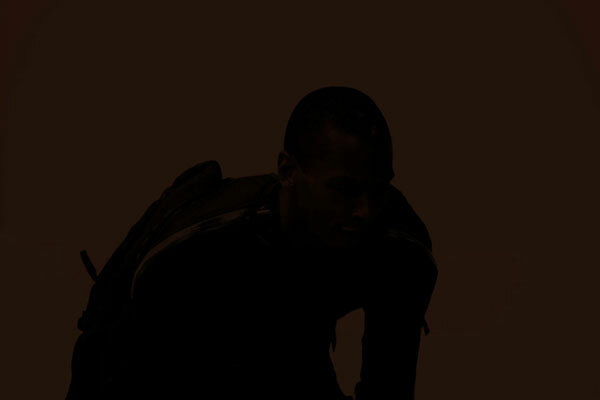 Jeff Mills has never wallowed in his DJ status and kept on multiplying outstanding performances. When creating Fritz Lang’s “Metropolis” soundtrack in 2000, Jeff Mills takes up with his prime inspiration made of utopia, futuristic thought and a real passion for the extraordinary worlds and scenarios offered by science-fiction. He is the master of extraordinary scenarios and borrows from science fiction the common man’s notion of Tomorrow (redite). In 2001, he conceives “Mono“, a monolithic sculpture and installation inspired by Stanley Kubrick’s film “2001: A Space Odyssey” which was exhibited at the CCCB Museum during Sonar Festival in Barcelona. Mills keeps on fusing his love for music and image. 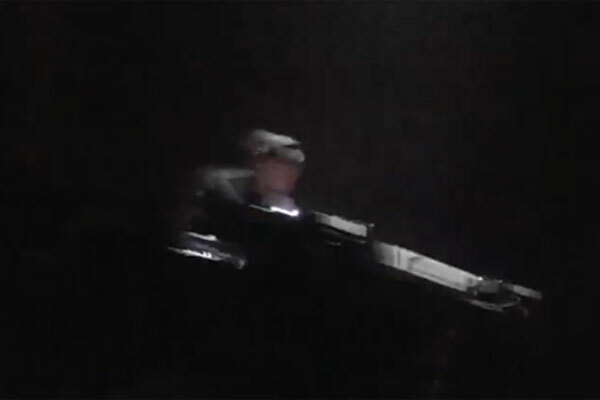 Reframing his extraordinary DJing skills in 2004 when he released “The Exhibitionist”, a real-time, unedited films capturing Mills in creative DJ motions. A multi-angle filmed collection of DJ sets, allowing him to both approach video production, while beautifully complimenting his art form on the turntables. In 2005, he released AX039 “Expanded“ with the consciousness of creating for Future generations, as oppose to creating for now. Expanding his mind became more important than the Music production itself and he took a strong interest in things that would provoke and question his thoughts about The Future. Science-fiction being one of them. “Sleeper Wakes“ – a science fiction series. The Wizard likes to take his inspiration from the little music of the cosmos and keeps his head well ahead, in the stars. 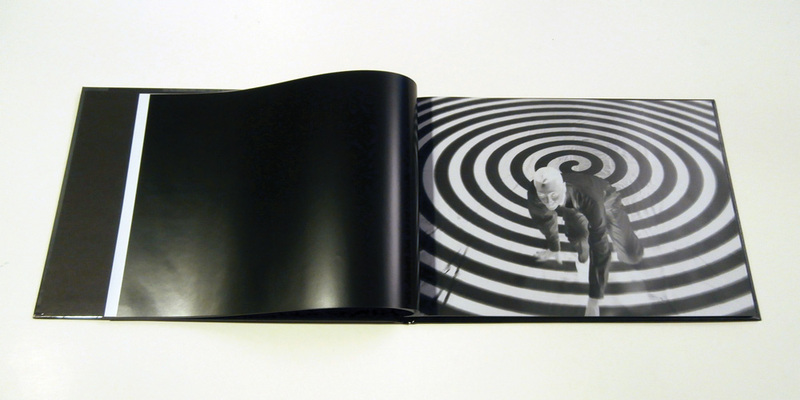 Since 2006 Jeff Mills created and wrote a story of life and obscure times of a fictional character that would eventually be called The Sleeper. With each chapter of the evolving story, the character gets increasingly deeper into plots that have so far, traveled the universe in search of new Worlds (“Sleeper Wakes“), contracted an unknown virus resulting into controlling electricity (“The Power“), to the end of Humans (“The Messenger“) and the eternal search of purpose and meaning (“The Jungle Planet“). In 2013 Jeff Mills has collaborated with Japanese astronaut Dr. Mamoru Mohri and released the album “Where Light Ends“, inspired by Mohri’s first trip into space, aboard the Endeavour Space Shuttle in 1992. The “Emerging Crystal Universe“, released in September 2014 as a limited object of art is the 8th chapter of this series and the 9th chapter “Free Fall“, announcing a cosmic menace, is out in June 2016. To be continued. After “Metropolis“ soundtrack as mentioned above, Jeff Mills was involved in numerous projects of film soundtracks collaborating with Cinémathèque Française and Cité de la Musique in Paris which included his unique cine-mixes performances of “Cheat” (Cecil B. DeMille), “October” (Sergei Eisenstein), “Fantastic Voyage” (Richard Fleischer), “Etudes sur Paris” (André Sauvage) and “Woman In The Moon” (Fritz Lang). 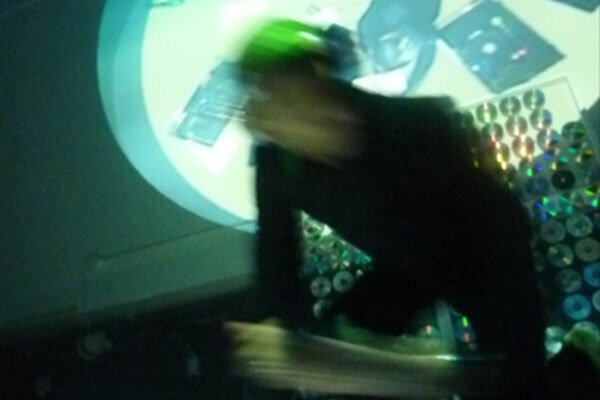 In 2009 Jeff Mills presents “The Trip” in London. 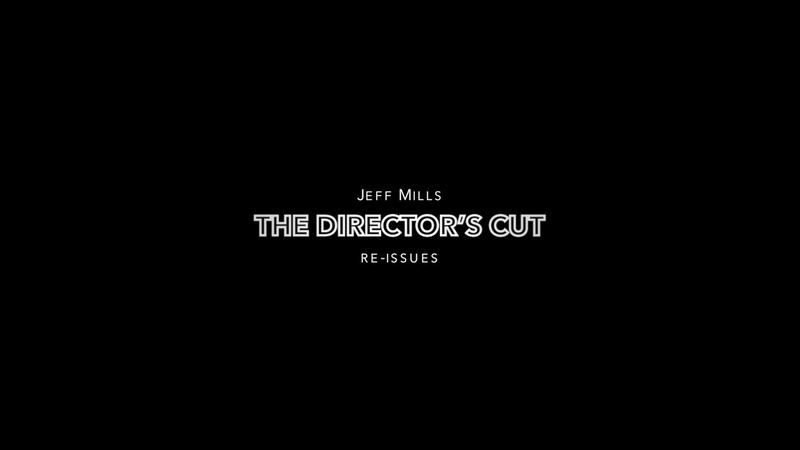 With his science-fiction fascination Jeff Mills pursues his work on images started in 2000, and offers a sound and image mix, inviting the audience to a fully sensorial experience. “The Trip” explores the subject of how humans will endure the mental and physical constraints of traveling through Outer Space in order to discover the Unknown. Mixing live more than fifty of science-fiction movie extracts (from 1920′s to 1970′s), following the same principles as DJing, Jeff Mills invited the audience to enter a pulsating atmosphere of the abnormal… Psychedelic meets electronic. During Autumn 2013, Jeff Mills presents his first solo show as an contemporary artist entitled “Centrifugal Force” at La Passerelle Saint-Brieuc, where he develops the concept of infinite spiral motion through various sound and visual installations. In the meantime, he presents “Chronicles of Possible Worlds” at the prestigious Foundation Vasarely, a 7 hour performance based on the exploration of exoplanets, in collaboration with the laboratory of astrophysics of Marseille. “Time Tunnel” is an all-night long DJ set with special surprises and attractions. Based of the American science-fiction TV show “The Time Tunnel” (produced by Irwin Allen in the ’60s), Jeff Mills creates a sound, visual and performance odyssey that pulls the dancing audience back and forth in time through a simulated visual Time Machine to explore the past, present and future of Music. Time Tunnel has visited several cities such as Paris, Nantes and Strasbourg. The last performance of “Time Tunnel” happened in Amsterdam on October 2015 during ADE Festival. In 2014, Jeff Mills has partnered with the French filmmaker Jacqueline Caux to create “Man From Tomorrow“. This film is more a portrait of Jeff Mill’s music than the man himself. A wandering, poetic and sensitive portrait, graphic and musical, full of film-maker Jacqueline Caux’s intimate perception of the futuristic sounds of the DJ/producer. Le Louvre Museum invites the Premiere showing of “Man from Tomorrow”. Thereafter, he is commissioned by the Auditorium of Le Louvre to be the 9th resident artist of “Duos Ephémères” for the year 2015, a program of 4 different shows mixing music, film and dance. At the same time, Mills works closely with the choreographer Michel Abdoul on an original performance entitled “2001: The Midnight Zone” paying again tribute to Kubrick’s masterpiece “2001: A Space Odyssey”, shown at la Cité de la Musique in May 2015. 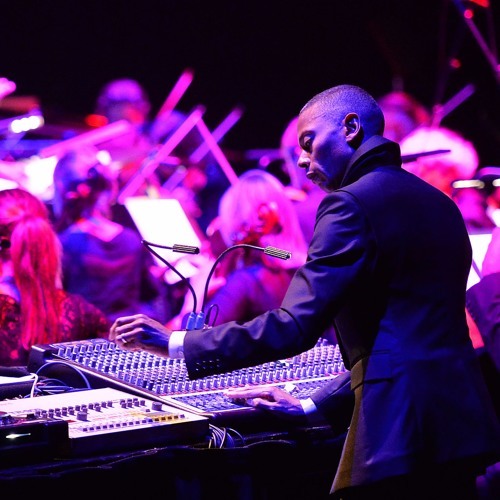 Jeff Mills has collaborated with symphonic orchestras since many years and was the first DJ to perform and capture it on DVD for a wider audience. It all began with the Montpellier National Orchestra in 2005 at Le Pont du Gard, France. The piece was called “Blue Potential” and had been arranged for orchestra by the young French composer Thomas Roussel. In 2012, Jeff Mills played a new version of this orchestral project, now called “Light from the Outside World”. Several concerts are scheduled over the world in the following years. 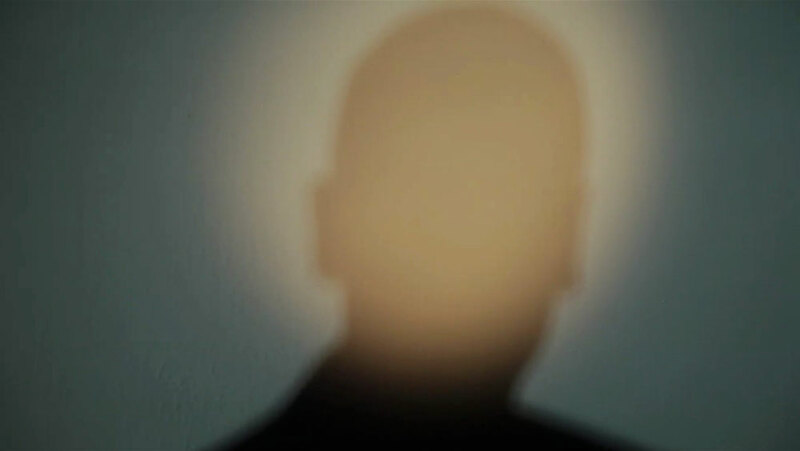 In 2013, Jeff Mills presented a new piece called “Where Light Ends”. A third project, inspired by Holst’ “The Planets” premiered in 2015. All these performances have always been sold-out shows. This shows the techno fans have been waiting for such opportunities, besides that fact classical audience can find new music. 1992 Axis Records was conceived and officially registered as a solely owned business in New York City by Jeff Mills. 1994 Re-locates New York office to Chicago, Illinois and closes Detroit office. Wanting to expand Axis, Mills explores various other type of labels, such as Running Records, Luxury Records, but finally decides to call his first sub-label Purpose Maker. Then, he creates a label based for all his forthcoming future works simply entitled “Tomorrow”. He also began to explore different methods of releasing material through other sources such as exclusive licensing to other record labels, records shops and distributors in Europe. 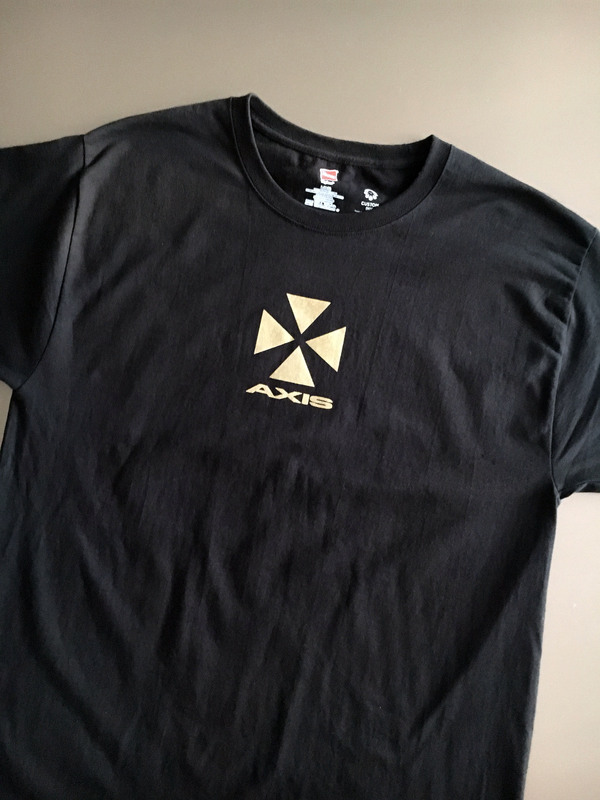 Axis Merchandise line was created, consisting of T-shirts and other DJ, Techno Music oriented items. 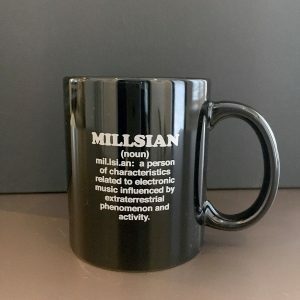 Jeff Mills positions the label to expand in various directions in Dance Music resulting in numerous sub-labels such as Purpose Maker, Tomorrow, Something In The Sky and Mission 6277, a label dedicated to works other producers and artist. 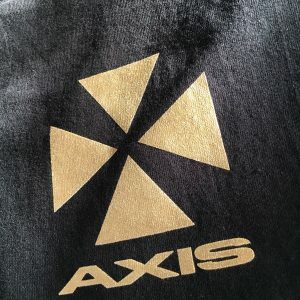 1995 Axis creates first website and introduces various features such as the Electronic Directory, the Axis Discussion and the Axis Shop. 1996 Launch of Purpose Maker Label. 1998 Axis begins to conduct and orchestrate external pop-up shops in Barcelona, London and Tokyo. 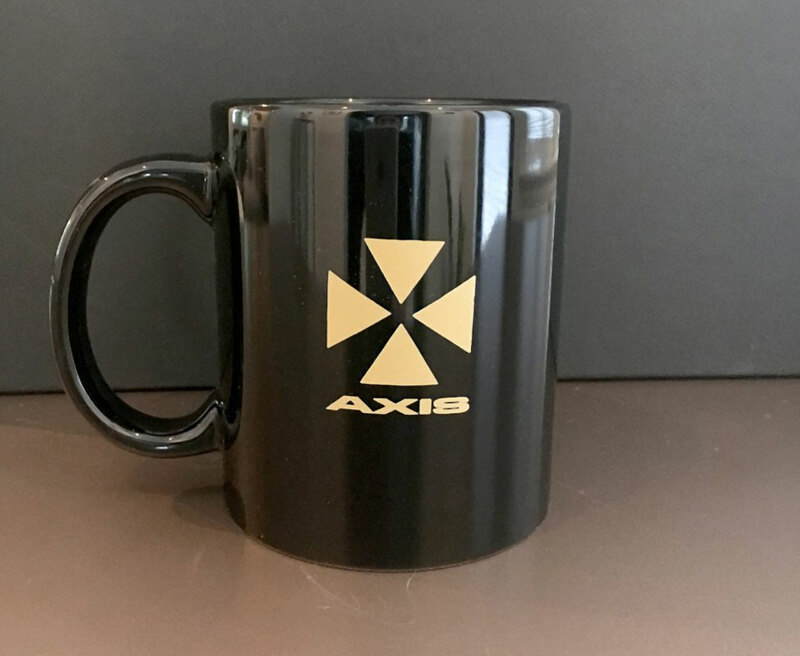 Axis expands their merchandise line. 1999 Launch of Tomorrow Label. 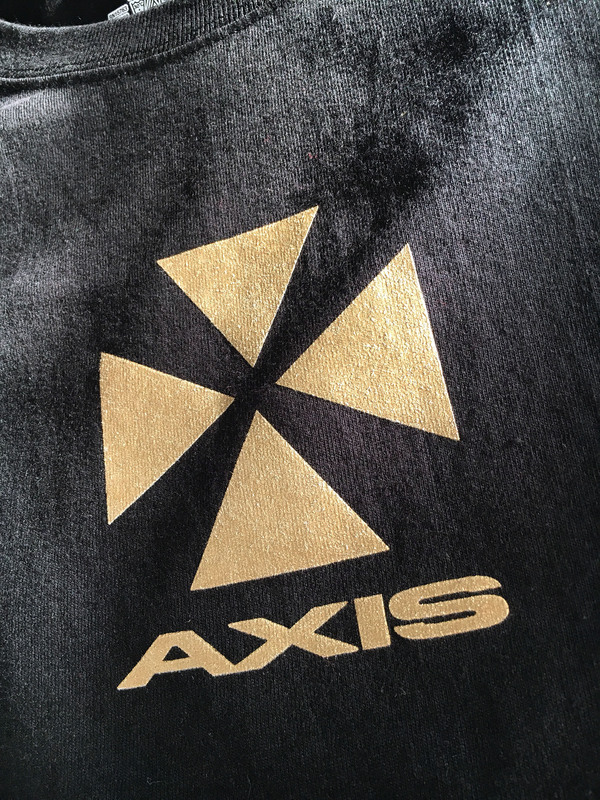 2001 Axis Records registered as a Limited Liability Corporation. 2003 Launch of Mission 6277 to develop young talents. The label was designed to continue until the evidence of water is found on Mars and now the Mission has concluded. 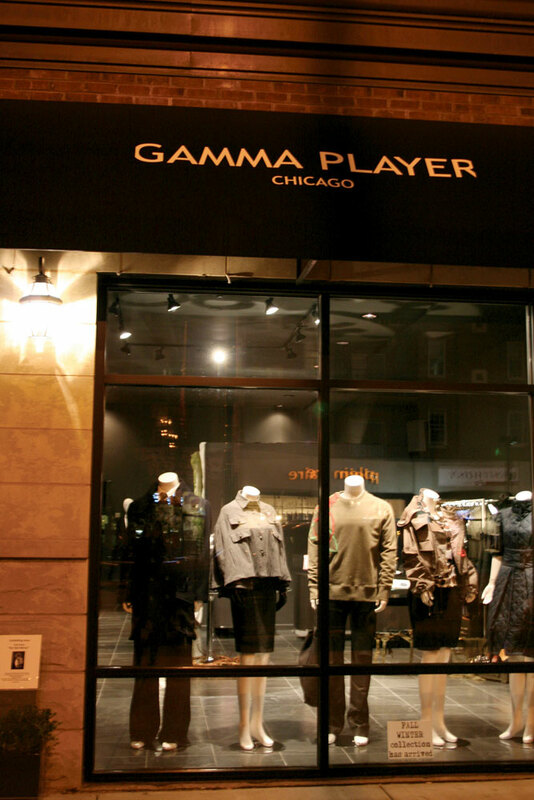 2006 Axis Records acquires commercial property and opens retail clothing shop entitled Gamma Player in Chicago’s west side Wicker Park. 2007 Expecting a significant shift in the industry due to the digital file format, Axis focuses on providing more conceptual products such the Sleeper Wakes series, X-102 The Rings Of Saturn and many other science fiction and space oriented works. 2009 Axis closes Gamma Player retail shop and focuses on expanding Axis Records and moves to Chicago downtown offices. Launch of Something In The Sky (SITS) label focusing on the concept of UFO sightings. Sublabel Taken is launched in 2012. 2010 Introduces first digital format of USB. 2012 Axis celebrates their 20th year anniversary with a book and CD set entitled “Sequence”. 2014 Co-producing the first featured film entitled “Man From Tomorrow” directed by Jacqueline Caux. 2016 Launch of Axis Audiophile Series to pursue hi-quality sound for vinyl records. 2017 Axis Records celebrates its 25th anniversary with a book and CD set entitled “T-Minus And Counting” and introduces a new website and radio program entitled “The Outer Limits” hosted by DJ Moxie.